Right-handed pitcher Nicholas Rumbelow (LSU) shined this week with notable pitching performances that earned him Coca Cola’s Pitcher of the Week. In Wednesday’s game vs. Bourne, Rumbelow ended the game by pitching two scoreless innings, including four strikeouts. 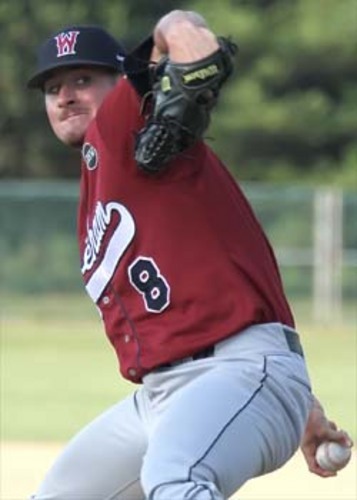 Rumbelow stepped it up in last Saturday’s game vs. Cotuit, where he struck out four Kettleers in 1.2 innings pitched. Rumbelow hails from Bullard, Texas. During his freshman season at LSU in 2011, Rumbelow appeared in 10 games in relief and posted a 2-0 record. His best outing of the year was a three-inning stint where he threw four strikeouts and only allowed two hits. 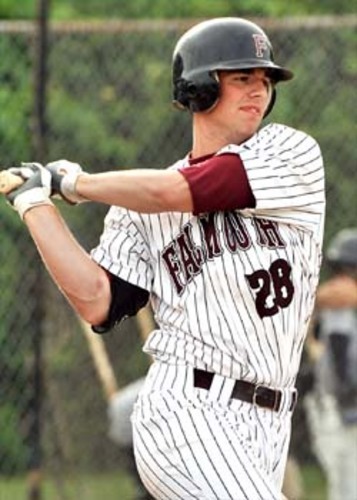 Left-handed batter Drew Dosch (Youngstown State) of the Falmouth Commodores made some key hits that earned him a current batting average of .368 and Coca Cola’s Player of the Week. In last Wednesday’s game against Cotuit, Dosch hit a two-out double in the seventh inning that helped earn the Commodores a 9-2 victory over the Kettleers. Following his performance Wednesday, Dosch helped fuel another Falmouth victory after belting another double last Thursday against Wareham. Dosch shined in Saturday’s game against the Yarmouth-Dennis Red Sox when he hit an RBI double in the first inning and later drove a solo homer in the third inning. Dosch, a native of Canal Winchester, Ohio, is a sophomore attending Youngstown State University. In 2012 he batted .362 with 34 runs and 38 RBIs. During his freshman year in 2011, he started 40 of 42 games and ended the season on a five-game hitting streak.